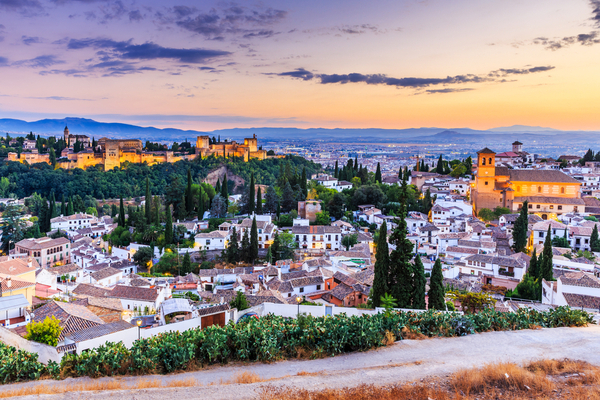 With the second largest tourism industry in the world, Spain has plenty to offer any visitors to the country. The country includes the mainland of Spain, as well as the Balearic Islands and the Canary Islands. Here is a brief overview of what people can expect when they go on vacation to Spain. 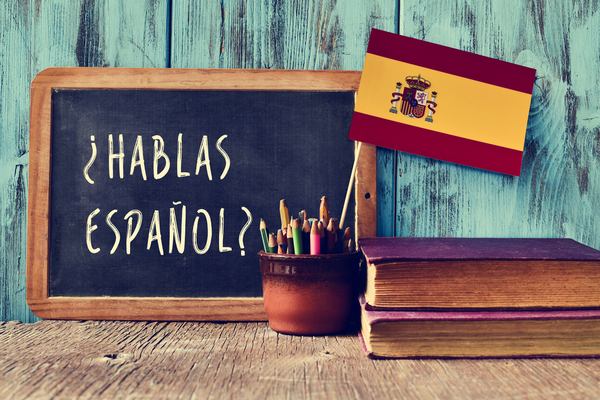 The national language is Spanish, and generally, natives appreciate it when tourists try to speak Spanish in shops and restaurants. Other officially recognized Spanish languages include Basque, Catalan, and Galician. View from a high-speed train window of countryside and sky on sunny warm Spring day in Spain. 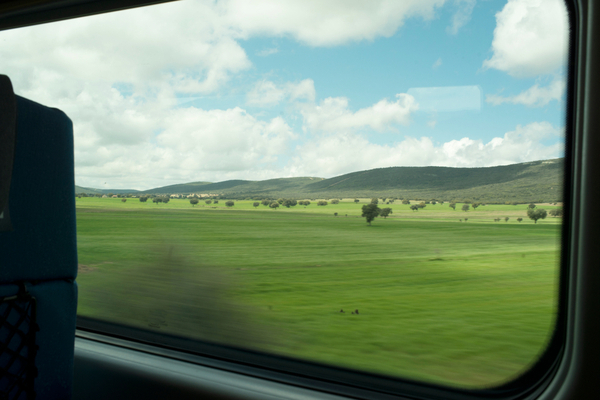 The train is one of the better ways to travel and see Spain. You can travel to and throughout Spain by train. There are two options to commute by train, the regional trains or high-speed trains. With the regional, you spend more time going from city to city. This then gives you more time to take in all the beauty of the countryside. However, if you are in a rush, then the high-speed trains will get you to your destination in less time. 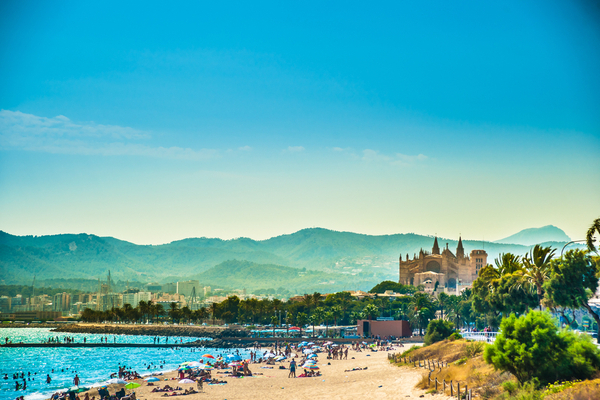 View of the beach of Palma de Mallorca with people lying on the sand and the gorgeous cathedral building visible in the background. Palma-de-Mallorca, Balearic Islands, Spain. The warm weather and sandy beaches of Spain’s many islands and its long and beautiful Mediterranean coast draw tourists from around the world. Visitors can expect a friendly atmosphere, lively entertainment and glorious sunshine throughout the summer months. The many hills and mountains offer amazing views and provide great opportunities for walking, cycling and horse riding. Snorkeling, diving, and other water sports are in abundance, and Ibiza’s nightlife is world-renowned. Alhambra of Granada, Spain. Alhambra fortress and Albaicin quarter at twilight. 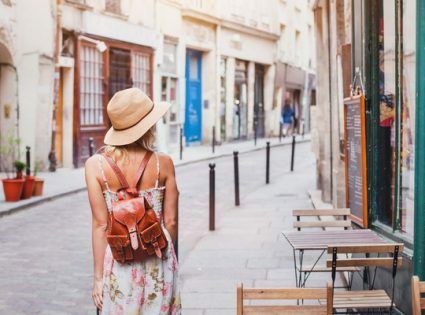 Popular inland destinations include cities of Madrid, Barcelona, and Valencia, where visitors can marvel at the stunning architecture, and drink in Spain’s rich culture. From the power and agility of bullfighting to the beauty and music of flamenco dancing, Spanish entertainment has something for everyone. Ancient side streets contrast strongly with contemporary, air-conditioned buildings, and Spanish history and art are showcased in many galleries and museums. From high-end designer outlets to winding arrays of market stalls, shopping in Spain is a must-do activity. In high street shops, the price you see is the price you pay. Most markets welcome haggling for prices but beware of counterfeit items. Remember that many stores may close in the afternoon for siesta. The currency used is the Euro. 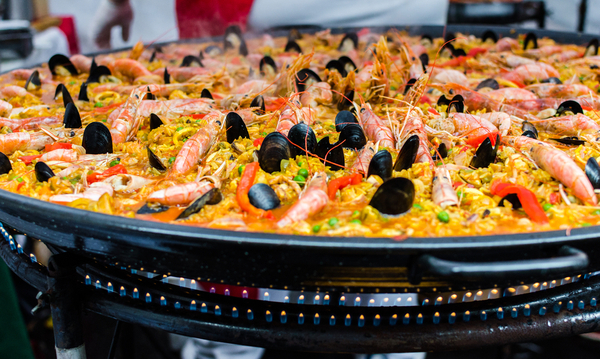 If you plan to go on holidays to Spain, be sure to sample some of the local cuisines. The most popular dish is paella, a delicious combination of rice and seafood. Diet also features cold soups, such as gazpacho, meats including Spanish ham and chorizo, and hard cheeses like Manchego. Wash down your meals with Spanish red wines and beers enjoyed responsibly. For those holiday travelers who like to enjoy a home away from home, many of Spain’s tourist resorts hold English and Irish bars with familiar brews, snacks, and even sports coverage. It is also possible to find English speaking hotels and restaurants that cater to those language-shy visitors, so anyone can enjoy Spain as the ideal holiday location.